Is Wisconsin’s gas tax among the highest in the nation? On Sept. 21 Rep. Todd Novak, incumbent Republican candidate for Wisconsin’s 51st Assembly District, sat down with Steve Walters of WisconsinEye for an interview. Novak beat his Democratic challenger, Jeff Wright, in a close contest Nov. 8. Novak told Walters one of his top priorities is funding transportation, but he was concerned about additional borrowing to fund improvements. He said more attention should be given to revenue enhancers, including toll roads and raising the gas tax. Novak acknowledged reluctantly that he would consider voting to raise the gas tax. “We’re one of the highest gas taxed states,” Novak said. So, is Wisconsin’s gas tax one of the highest in the country? First of all, what is a gas tax? Gas tax is an excise tax paid at the time of purchase. Unlike sales tax, excise taxes only apply to specific goods like gasoline, alcohol and tobacco. Usually, the tax is included in the price listing, and the tax is per gallon and does not fluctuate with the price of gas. According to the state Department of Transportation, Wisconsin state resources, including gas tax revenues, provide 56 percent of transportation revenue. Gas tax alone is the largest revenue source for Wisconsin’s Transportation Fund. Money in the Transportation Fund is considered segregated revenue, meaning it can only go toward programs that the DOT directly administers. According to the Tax Foundation, an independent tax policy research organization, Wisconsin state gas tax is 32.9 cents per gallon. The Tax Foundation ranks Wisconsin as having the 12th highest gas tax in the nation as of January 2016. But that comparison excludes the 18.4-cent federal excise tax that all drivers across the country pay. 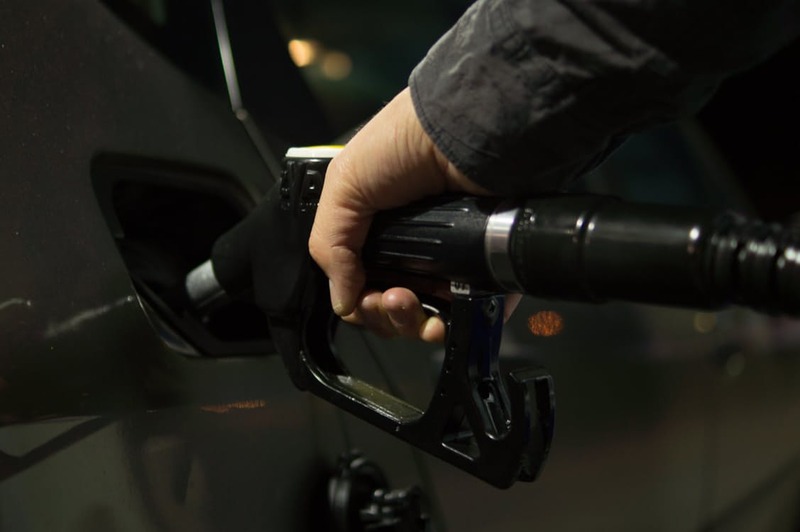 Excluding that federal tax, on average, U.S. drivers pay 27.9 cents per gallon, which is 5 cents lower than Wisconsin’s state gas tax of 32.9 cents, the Tax Foundation figures show. With the federal tax included, Wisconsin drivers are paying 51.3 cents per gallon in taxes. 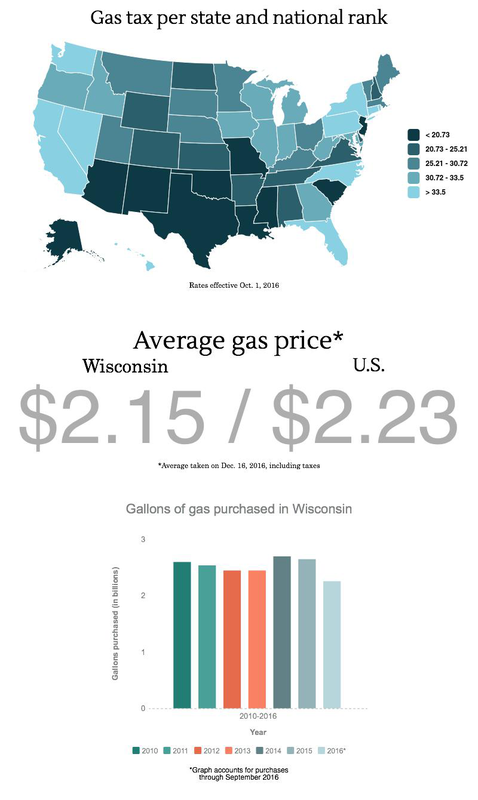 It should be noted that some articles and sources cite Wisconsin’s gas tax at 30.9 cents. Christopher Roy of the Wisconsin Department of Revenue’s Excise Tax Unit clarified that drivers in Wisconsin pay an additional 2 cent per gallon petroleum inspection fee to pay for remediation of leaking underground storage tanks. The Observatory included the full amount for comparison. While Wisconsin would not fall into a “Top 10” list at the moment, its gas tax is higher than most states in the country. After multiple attempts to contact Novak for clarification on his statement, The Observatory has not heard back. Wisconsin does sit noticeably above the national average gas tax, coming in at 12th highest. However, this means Wisconsin falls only in the top quarter of states. Novak’s claim implies Wisconsin was among the highest taxed in the nation. The Observatory rates this claim mostly true.